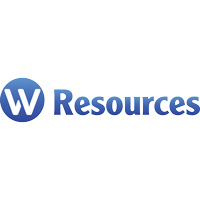 W Resources PLC (LON:WRES) Chairman Michael Masterman caught up with DirectorsTalk for an exclusive interview to discuss the progress of their projects in Spain & Portugal, key drivers for the tungsten market and the key points investors should they consider. Q1: It’s been a while since we last spoke, can you bring us up to date on W Resources’ projects in Spain and Portugal? A1: So, just in terms of the overall picture, W has three very advanced assets. The flagship, the big one, the one that most of the focus is on is La Parrilla which is in south-western Spain, we have the high-grade Régua deposit in northern Portugal and we’ve got a very nice gold deposit that’s coming along quite well, São Martinho in central Portugal. Q2: It sounds like you’ve had a busy year at your flagship project, La Parrilla in Spain, what are the key highlights achieved here this year? A2: 2018 has been a very big year for W Resources and La Parrilla. We started off the year with the BlackRock financer so BlackRock the big US investment fund provided us with a $35 million loan facility and that provided 100% financing for the development of the La Parrilla mine. Since February, we’ve been able to move very quickly progressively towards completion of the plant which is on schedule for Q1 of 2019 and then we’ll move to a very large scale ramp up of the project, starting in Q2 of 2019. Q3: What are they key drivers for the tungsten market and how has the price been performing just lately? A3: The tungsten price has been very solid, 2017 was a good year, 2018 has been a good solid year, demand growth particularly in China and particularly in the United States has been very very strong. There are some fundamental shortages in supply so it’s a very good for a mine of the scale of La Parrilla with a long mine life to come into production. Q4: Just going on from that then, what are your 3 and 6 month goals for you and your team at La Parrilla? A4: We’ve had a very busy month or two where we’ve started initial production, we’ve shipped our first shipment of tungsten concentrate to a customer in Austria and, literally, this week we’ve just finished mechanical completion of the crusher. The plant at La Parrilla has three parts, it has a crusher, it then has a jig that very substantially upgrades the material prior to the material going into the third part, the concentrator which takes the material through to the final tungsten concentrate that we sell to our customers. The crusher is mechanically complete, the teams are working very hard to get ready to commission the crusher on ore so, if you like, we’re going to feed mined ore into the crusher so that’ll be a very important milestone and we’re targeting very early in the new year, not before. The next milestone will be the completion of the jig plant, that will be in March and that will add further production capacity to our complex down here in south-western Spain and finally, in March, we’ll be completing, mechanically, the concentrator. So, that’s Q1, lots of development and construction completion. The next stage, and this will be the core for 2019, is commissioning the plant and ramping it up in a very well disciplined and controlled way to a target of full design capacity by the end of 2019. Q5: Should we expect any developments at Régua in Portugal for the first half of the year? A5: Yes, so Régua is moving very nicely, if you like, alongside La Parrilla, it’s a smaller capital expenditure requirement and we’re able to utilise a lot of existing infrastructure to develop it. We’ll see sensible and small steps made on the development of Régua through the early part of 2019 and with everything running strongly at La Parrilla, we’ll then be able to accelerate completion and mine start at Régua also in 2019. Q6: With there being such a strong focus on tungsten, is there much activity on your copper/gold projects in Portugal? A6: We’ve had a lot of success on our São Martinho gold deposit/gold discovery, we had very good recoveries and very good drilling results. What we’re doing at the moment is preparing a new resource estimate which we quietly expect to yield a fairly significant increase in the size of that gold deposit. As part of that exercise, we’ll look to apply an initial trial mine development for that deposit. Q7: With new shareholders perhaps looking for opportunities through 2019, what three key points should they consider if they were looking at W Resources? A7: If you look at the fundamentals, the company, through 2018 and through 2019, is transforming the fundamental valuation parameters. Going into 2019, we’re going to have a very large scale mine and plant operation and we’re going to be significantly increasing our revenues through 2019 and from that comes significant earnings leverage. So, putting it in context, we’re a company that has roughly a $30 million market cap, about £25/26 million. We’re looking in a full year, let’s say 2020, at $20 million EBITDA, earnings cash flow from the 2 million tonne per annum operation and we’re moving very steadily to getting approval to expand that to $3.5 million tonnes which would increase the earnings to around about $40 million per annum. So, you’ve got a company that’s funded, going into large scale production with large scale earnings generation with a very modest market cap of about $30 million. So, there’s a tremendous earnings-driven valuation leverage with the company as it stands today.